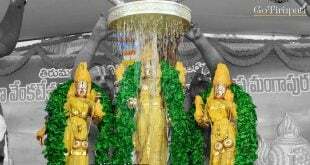 Tirumala, 9 July 2015: TTD EO Dr.D Sambasiva Rao has appealed the pilgrims who are opting Rs.300 special entry darshan to follow the prescribed guidelines by TTD to have a smooth and hassle-free darshan. The EO along with Tirumala JEO inspected the Rs.300 queue lines in Tirumala. Later speaking to media persons he said, with an aim to avoid long waiting hours to this category of pilgrims and to enable them a scheduled, hassle free and comfortable darshan we have worked a lot and enhanced the tickets to 26,000 with various time slots from 9am to 9pm every day from July 1 onwards. But some of the pilgrims are not properly following the prescribed guidelines and are being forced to face unnecessary trouble. Our humble appeal to all of them is to kindly follow the norms including wearing traditional dress, reporting at the Rs.300 line near SMC on the prescribed reporting time, getting two copies of their ticket – one to submit at entry point and another for procuring laddus etc. 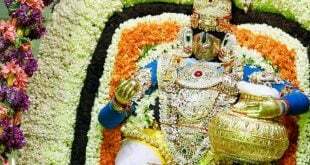 to have a convenient darshan in short time”, he stressed. Temple DyEO Sri C Ramana, VGO Tirumala Smt Vimala Kumari, AVSOs Sri Kurma Rao, Sri Venkatadri, EE Sri Sivarama Krishna and others were also present. Please send me the route map 300 rs darshan entrance. you can enter through ATC Car parking in tirumala. Hello, Is it require to carry original Adhaar card or any id proof? Or can we carry a Xerox adhaar card with us? Adhar card is required for applying any darshan if not available sometimes xerox will considered.